As a Libertarian, I find I’m able to look at an issue from both sides of the political equation. Because of that, I often find myself adopting middle ground solutions to some of our nation’s biggest controversies. When it comes to the topic of abortion, for example, I think that both Republicans and Democrats can agree that preventing an unwanted pregnancy is preferable to terminating one. And yet, a surprising number of Conservatives are against free contraception. That’s baffling for a couple of reasons. For one, research has shown that giving women access to free birth control reduces abortion rates. 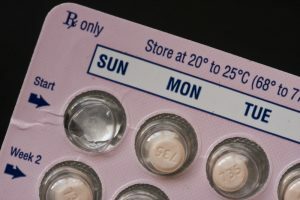 A 2012 study by the Washington University School of Medicine, for example, concluded that providing women with free contraceptives decreased abortion rates by a range of 62 to 78 percent when compared to the national average. It’s also worth noting that birth control is far cheaper than the cost of an unplanned pregnancy. A 2011 study by the Guttmacher Institute showed that unintended pregnancies cost American taxpayers approximately $11 billion a year. This particular study also found that 66 percent of births resulting from unplanned pregnancies are publicly funded. In some states, it was as high as 80 percent. As you can see, providing free contraception isn’t just a matter of ethics; it’s a matter of reducing federal and state spending. That alone makes a very good case for why Republicans should support it.